Kirkintilloch Rob Roy weren’t at their best on Saturday - but still managed to come back from Ardrossan with their mission accomplished. A penalty shootout was needed to put Stewart Maxwell’s side through to the next round of the West of Scotland Cup after a 1-1 draw with the Ayrshire District League outfit. 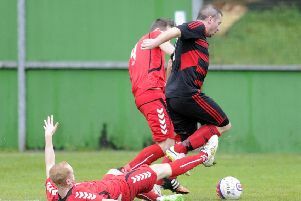 Check out the video highlights, courtesy of Ardrossan Winton Rovers’ YouTube channel.